If anyone wishes to send me something to add to this page, I am forever grateful if you'd email me your words along with your name, current work title [if you wish] and city in which you live. 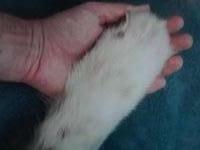 Forever a special friend, Reggie's Paw in my Hand. Pictured with Daisy, a favorite client along with her Mother Tricia. See Tricia's testimonial below. 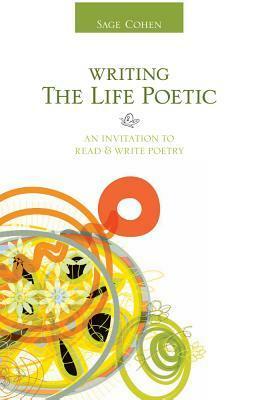 Featured Chapter in Sage Cohen's book, "Writing the Life Poetic: An invitation to read and write poetry"
Chapter 75, "To Thine Self Be True" about my work with her animals, and one way I find inspiration. I was very honored to have made such an impression that she wrote a chapter about me. Humbled by each and every one of these words. I have not altered these statements in ANY way. Some speak of my massage/energy work with both humans and animals. Some speak of reading my books. Others of my Inutitive Communication skills. A couple simply from speaking with me out in the world, simply by chance. Some give their names, some stayed in the shadows. Your words propell my work into heights. "...we shall call you the animal whisperer." - Native American Shaman to me after hearing about my life journey. "So overwhelmed I am at a loss for words! and humbled right to my very center. Yes, everything you wrote [in my email reading] was easy to understand and absolutely spot on! What an amazing gift you have and what a blessing to me!" "...your voice is a powerful one. Never doubt your ability, or your guidance." "Just finished reading. Thank you so much! That was beautiful and enlightening. I loved receiving the messages and hearing from my animals. I feel instandly connected to them. ...the fact that you added (name omitted for privacy) to my reading was amazing. It tells me you met my heart and you are meant to do this. Thank you for sharing your beautiful gift with so many." "I love your website! Really fun, funny, big-hearted, insightful and profound. Like you, I suspect! ...please keep doing what you are doing!" 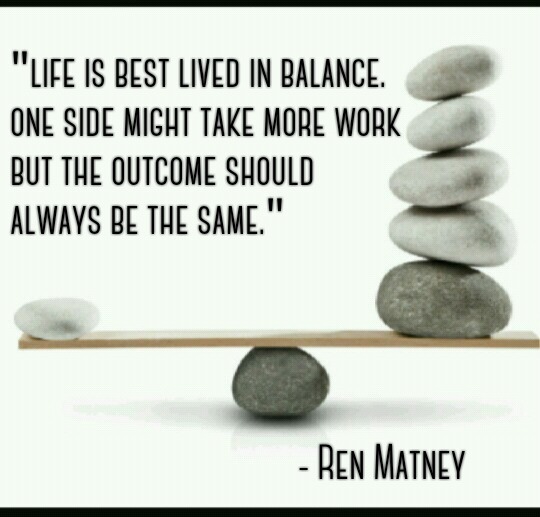 "Ren Matney is an inspiring individual beyond description. He carries around himself an energy that is undeniably unique. His writings, "Happily Ever Afters..." and "Other Echoes" are an enchanting read. He has helped me leap forward into my own journey of discovery. Ren is a master of connection. He just gets it. My best description of him is that he is truly a conduit." "This guy is amazing! I highly recommend a session with him. He is always right on. Every reading he has ever done for me was accurate and he helped my cat find his way home. Thanks Ren!" "...when I look at you, I see you as an extension of the earth. You are part of the earth..."
JaNean Sechrist, Business Owner: CaJaLa's Treasures and Animal Supervisor NSPCA, Las Vegas, NV. "The first time Ren came to the house [for animal massage appt], Daisy ran out to greet him as if he was a long lost friend. She seemed to know that he was here to be with her [and] not me. She's not really a "kissy" dog, but the last time he was here she showered him with kisses. There is a very special bond between them. Ren seems to connect with Daisy not just on a physical level, but also on an emotional and spiritual level." - Tricia Azzone, Client, Portland. OR. "I knew you were special manny years ago, actually from the moment we met I felt a very strong connection with you. My reading ws point on and something that I truly needed right now with a couple of situations I have been dealing with. One which I have stepped away from, and another which is something I want to be involved with as scary as it may be. Your spirituality leaves me knowing how lucky I am to have you connected to my life and spirit." - Linda Richard, Distance Animal Totem Reading, Vancouver, WA. "Ren is truly a special person. 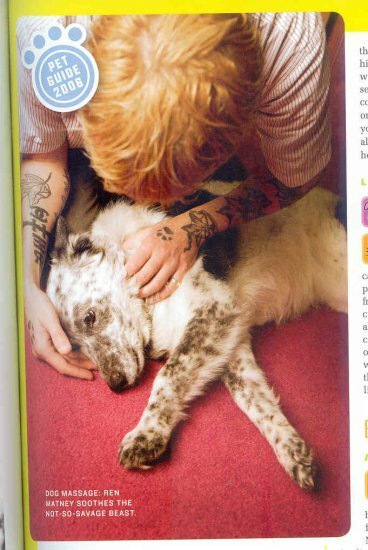 His connection with animals and their well-being amazes me." - Bryn Sullivan, Mukilteo, WA. - Linda Dixon-Gierke, Distance Animal Totem Reading, Ocean Beach, WA. "If I made up an energy teacher from scratch, I couldn't come up with anyone better than Ren. He has a natural gift for working with energy. He is bradly and deeply knowledgeable from years of study. Both of which are unique and valuable traits - but don't capture what makes him a great teacher. Learning from Ren is exceptional because he will approach you as you, and teach from there. He is utterly trustable, honest, direct, comfortable to be around, kind, and dedicated to making sure you understand what he is saying. If you get a chance to work with Ren, take it. Period." - Melanie Drake, former student of Ren now in Medical School to become a Pediatrician, Portland, OR. "I feel so lucky to have had the opportunity to learn about Ren. The reading he provided for me and my sweet animal companion was truly a beautiful gift that I will cherish forever. I am speechless with my thanks and gratitude." You are someone whos spirit I look at with admiration. You are kind and loving in a way few people are. What you said to me earlier I needed so much. Because of many things, I've found myself in a place I've never been. It's negative and dark and so unfamiliar to me. I'm searching desperately for the place I once was. It is light and joyful and peaceful. It's where you are. You should know, the comment you left on my post (and many others I see of yours) shine a light on my outlook. It lifts me up. I thank you so much for that. I respect you and I'm thankful for your place in this world I've been lucky enough to cross paths with. "Ren you have a soul that is amazing, radiates such beauty and whose talents are limitless. [after telling me how a rescued dog named Moses, took off out the front door for her friend, Tracy called me.] ...I gave the rescue lady your name and email and asked her to send you a call out for help in finding Moses. She did, and you responded. You had sketched out a barn on a piece of paper, with a very certain door, scanned it in and sent it to her. A "red barn" (which sounds easy but it was YOUR first sign) you said came to you. Ren, when we arrived at the only farmhouse in area with RED strange door to rescue Moses there was the barn EXACTLY like the one you had sketched on that piece of paper. You are remarkable. Thank you." "As a therapist you go above and beyond what most will do for their clients. You are a true healer... You touch lives in so many ways it's amazing." Jean Nate Hilton, Massage Therapist, Las Vegas, NV. "...he dedicates so much of himself to each and every person, or animal he works with every day. I, myself have had the pleasure of experiencing some life changing, eye opening, spiritual awakenings through him. ...I use the word "healer" because Ren has this ability to heal those he touches not only physically but spiritually and emotionally as well, he has this incredible ability to become attuned to you and your needs, whatever they may be at THAT time. Also: [His personal intuitive reading] "...was spot on! Spot ON!" "Thank you so very much for that [Animal Totem] reading. Wow! Spot on with who I am and have become more of lately. It is an honor and pleasure to work with you." -Mandi Munoz, Lic. Aesthetician & Massage Therapist, Las Vegas, NV. "Ren is amazing. ...he has great touch and always seems to know what I need emotionally, mentally and physically to enhance my performance as a therapist." - Melissa McAtee, Massage Therapist, Pahrump, NV. "...as a teacher [specializing in special needs children], if I could inspire the level of respect, honesty, love, raw insight and compassion that comes through your words into any of my furture students, I would be eternally grateful to you for your influence on their lives in addition to mine." - Alyssa Coffey, Special Needs Educator, New York, NY. "...it's gratifying to witness a former student reach deep inside to find his path and passion. "Other Echoes" is a soulful testimony of Ren's journey thus far..."
"I especially enjoy "Happily Every Afters..." Each message is applicable to everyday encounters. It reminds you of the simply things in life that we sometimes forget and to think about your own actions and how you treat life around you. Thank you Ren, for that reminder." - Sarah Lesnak, Phonenix, AZ. "I LOVE your poetry books!" "Every time I hit a red light and start to get irritated I think about you and [your] book that says to be thankful for a reason to do absolutely nothing. [Happily Ever Afters..."] And I feel a small sense of peace that for just a minute I can't be held responsible for everything I'm not doing." Lacey Dunmire, Legal Receptionist, Las Vegas, NV. "I am amazed how much "at ease" you are able to get me to feel through a simply email. Just hearing the way you choose your words, makes me instantly know I am supported, accepted and most especially I feel heard...because of this I always smile after hearing from you. Thank you for reminding me I am good enough." Name held for confindentiality, via email.
" I have to thank you once more. When my dog passed I said to you that I "didn't know what I would have done without you being there for me" especially due to your ability to "understand" the love I shared with him. You were so calm the whole time. A couple weeks later you told me that "you had done nothing special" and that "everything I needed to get through 'it' was already inside me." You said that all you "might have done" was help me "find it" - this is something I'll never forget. You told me that the "strength of our love for each other" is like no other bond on earth, the love between human and animal and physical "death" can never break that. Exactly what I needed to hear. Thank you. Thank you. Thank you." "I am speechless! Honorary titles/degrees are so much more meaningful than those asked for. I'm' glad Ren [you] have been duly rewarded for always coloring outside the lines of convention...the only way change is made." - Kelly Sorg, M. Ed., Portland, OR. "Happy News" is an understanement! Blow the trumpets and dance! It is wonderful that you have been recognized and honored for your efforts and contributions. Can the radio program be that far off? - - 'This is [insert animal] chat with Dr. Ren and you are our first caller..."
"I am very proud of you. I have always thought of you as one of the wisest people I know." "...thank you for all the inspiration I'm able to find through you. I still really want to get into canine massage, and I got a part time job at the animal shelter, so I've already started exposing myself to a variety of animals! I'm going to work really heard so that I can inspire others to do what they want to do in their lives." - Patrick Gil Cristobal, LMT & Animal Care Attendant [Animal Foundation], Las Vegas, NV. HAPPY TO SAY - MORE TO COME!!!!! Shamanistic Healing & Movement for Mind, Body and Spirit.